Robotics are here to stay, must we love them? Posted March 2nd, 2015 by David Porter & filed under General, Hot Topics, Social. The inescapable message to everyone about robotics seems to be – Say Hello to Amelia, the First Cognitive Agent Who Understands Like a Human. 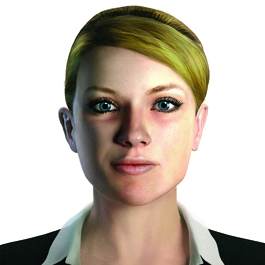 That is, courtesy of IPsoft – robotics now has a human face. Amelia , your IT helpdesk adviser is ‘blandly pretty and dressed in a crisp white shirt and black jacket. She is oddly pliant and unthreatening,’ according to Tim Adler in Business Technology (Feb 2015). This onscreen android is the future of robotics, the human face of the outsourcing that is coming. Well, the business cases for automation robots is apparently irrefutable. Certainly according to Create Tomorrow. All very well, but what about the people who are released not to innovate but to be made redundant, surplus to requirements? We posed this recently in When Disruptive Technologies Are Not As Great As They’re Cracked Up to Be. In Outsource Magazine (April 2014) Paul Morrison explained about the laws of robotics and what the future might actually look like. But as the list of use cases grows week by week, the outlines of what robotic process automation become clearer. At the core, there are a few common traits that capture what robotic automation is and isn’t. Beyond that, the market is still being forged and looks set to proliferate to address opportunities across the IT and BPO landscape. Robotic automation replaces human work. Robotic automation is driven by instructions or logic. Robotic automation is rapid and scalable, cloud-enabled, service orientated and lean. He claimed that taken together, these traits represent a new combination of elements that define robotic process automation, and set them apart from old-school automation, software and productivity tools. Despite the three laws, not all robotic automation is the same, not least because of the wide range of technologies, applications and customers. And it is also still very early days. Segmenting the market for robotic automation today is like asking the inventors of the internal combustion engine to define the modern car market. Indeed robotic automation is not yet, and may never be, one unified market, as its buyers will range across the back and front offices and across many industries.